Our close and personal friend, Sid Dobrin, of Inventive Fishing recently visited Danzante Bay in Mexico for some epic kayak fishing, but the throne is all he could vision. It’s become a habit, I suppose, after more than fifteen years of fishing from the yak back. It doesn’t really matter where I am or what I’m doing, my mind always wanders to the water and when I’m in proximity to water, I’m quick to look for potential put-ins. When I’m travelling and don’t have my own stick, I’m on the hunt for a rental or loaner. It’s a habit that has served up opportunities time after time; opportunities I would have missed if the desire to get out on the yak was not so all consuming that I might not see the chances. So recently, upon arriving at Villa del Palmar at the Islands of Loreto in Loreto, Mexico for the 2017 Fishing and Golf Tournament, I began looking for the tell-tale sign of yaks, hoping I might sneak in a few hours of yak fishing in between the official fishing and the golfing. 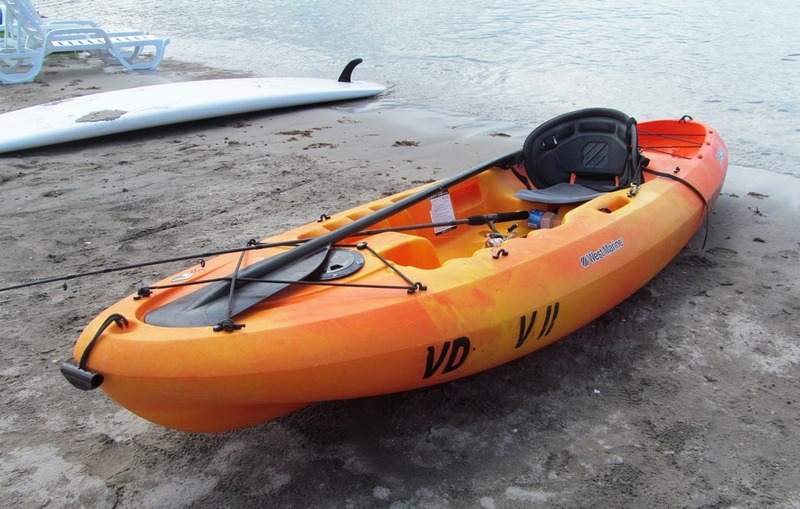 Fortunately, the Villa del Palmar maintains a small fleet of West Marine Abaco kayaks and some SUPs available for guest use. 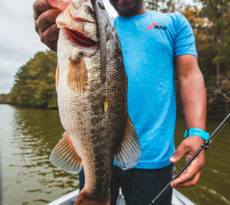 With a borrowed spinning outfit and a small array of borrowed lures, I planned to make my private yak excursion on the second day of the tournament. But, as every kayak angler worth his salt knows, when it comes to fishing, things don’t always go as planned. Villa del Palmar at the Islands of Loreto is a remarkable ocean-front resort on Danzante Bay on the East Coast of Mexico’s Baja California Big Sur Peninsula. 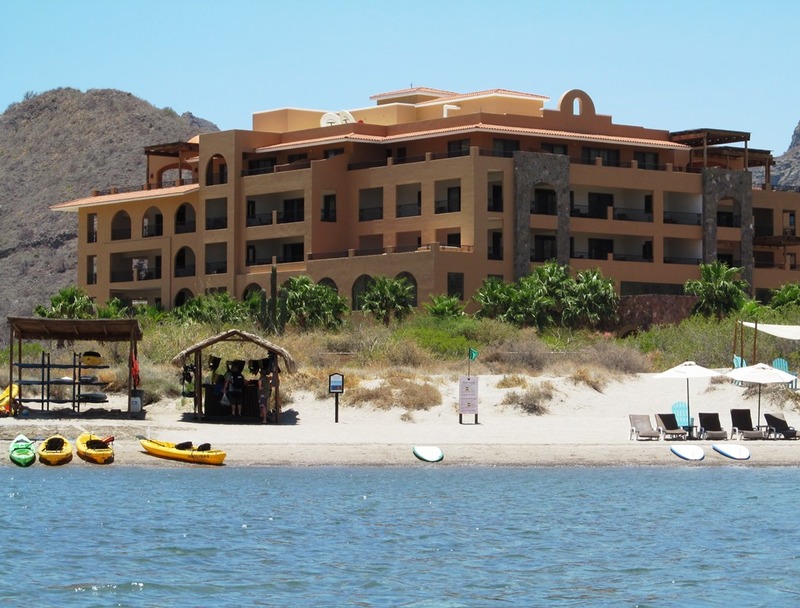 The resort is located about 20 miles south of Loreto along the spectacular mountain-ringed Danzante Bay that opens into the majestic Gulf of California, also known as the Sea of Cortez, one of the most remarkable saltwater fisheries in the world. John Steinbeck’s canonical books the Sea of Cortez and Log from the Sea of Cortez can only capture in part the vitality of this environment. The deep waters of the Gulf are home to large numbers of sportfish, including roosterfish, tuna, yellowtail, dorado, and blue, black, and striped marlin. And this had me more than excited because all of these are target fish for yak anglers without paddling more than a few hundred yards off the beaches. Moreover, this didn’t even account for the magnificent leaping manta rays, makos, porpoises, and whales. 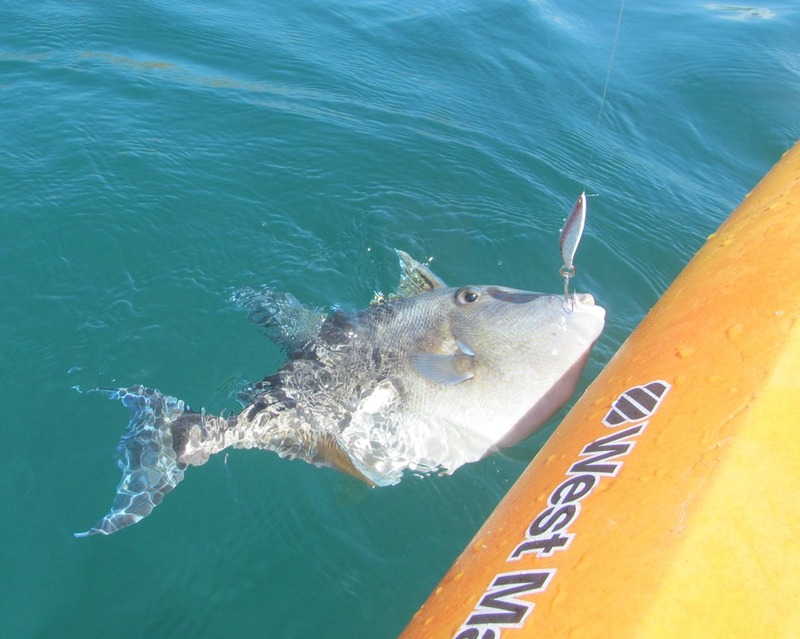 The region truly is the offshore kayak angler’s paradise and there is minimal pressure on the fishery overall, let alone from the handful of yakkers who venture there to fish each year. Within an hour of arriving in Loreto, I knew I had to find a way to get a kayak on this water. Fortunately, the Villa del Palmar’s annual dorado/marlin tournament provides an opportunity for outdoor writers from across the U.S. to bear witness to the world-class fishing and golf opportunities the resort offers—not to mention the five-star dining. At this year’s tournament, John Kruse who hosts and produces Northwestern Outdoor Radio, introduced me to Rene Olinger, an ex-pat from Lompoc, California, who runs Baja Peninsula Adventures, a guide/kayak rental service out of Loreto. Renee has a fleet of 2016 Hobie PA 12’s and Outbacks and a load of experience putting yak anglers on fish. Though I had not booked a trip with her, after one conversation, she showed up with rods, reels, and tackle to help facilitate my impromptu solo adventure on one of the Villa del Palmer’s yaks. Rene is really a pioneer. 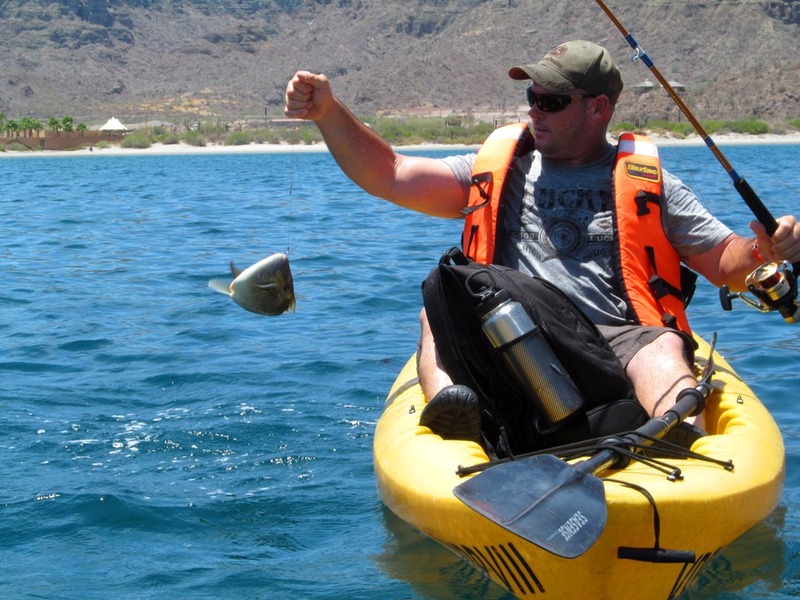 Her company is the first to focus on kayak fishing in the region, and unlike many yak rental outfits, Baja Peninsula Adventures is really offering expertise beyond simple rentals. 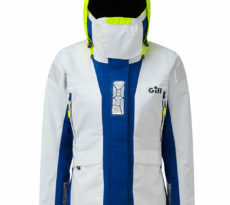 Renee’s guides will mothership you anglers and yaks to the right waters, the waters where the fish are prolific. 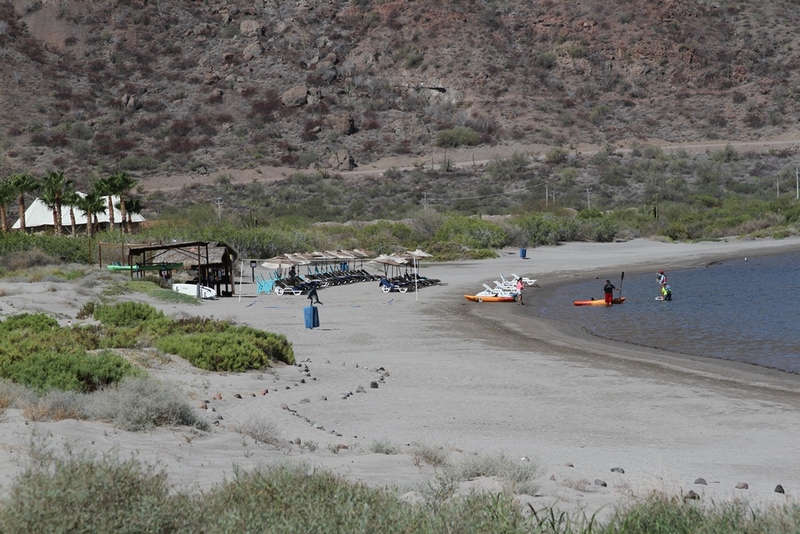 She’s also added a few overnight trips to her offerings, taking anglers, campers, and adventurers to the beaches of some of the many islands that populate the Sea of Cortez. Dropped off with camping gear and supplies, anglers can spend days exploring the deep water coastlines of these remarkable islands. 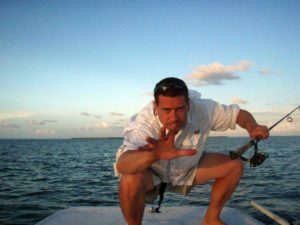 Back in 2015, longtime (I’m tempted to say “legendary”) outdoor writer Gary Graham wrote a phenomenal article in BD Outdoors about an inspired expedition he and his son took to fish Loreto 46 years prior in 1973 and the 2015 return to Loreto trip he and Sportfishing magazine Editor-in-Chief Doug Olander made to Loreto with the Hobie fishing team under the guidance of Morgan Promnitz, Fishing Product Manager at Hobie. Of course, reading Gary’s article already had me inspired and wishing to Neptune that I had had that chance back in ’73. Moreover, with Gary, John, and Renee all telling me over beers about the epic potential of yak fishing the bay, you know an old yakker like me couldn’t resist the opportunity, however brief it might have been—even if I had to forfeit attending a few hours of a tequila tasting or massages at the Villa del Palmer. But here’s the thing: it is remarkably difficult, if not impossible, to paddle, cast, and reel when one is sitting on the toilet chugging Imodium like a frat boy at nickel beer night and praying there’s more toilet paper under the sink. Yeah, Montezuma got me before Neptune. So, I never made it out to push one of those WM Abacos into the cerulean water. Instead, John sent me pics of the trigger fish he caught on Daredevil spoons from those same yaks, and Gary sent me pics of him online with a striped marlin from that 2015 trip as well as pics of the Hobie team with roosterfish, dorado, and marlin and one of Doug Olander with a hammerhead, and the folks from Villa del Palmar at the Islands of Loreto sent me the pics of Californian Joe Andrews who caught 120 trigger fish from the yak last year. So this is one of those “you shoulda been there” fishing stories. It was supposed to be about me, a kayak, and a bunch of pelagics. The problem was I was there, but just couldn’t make it to the yak. 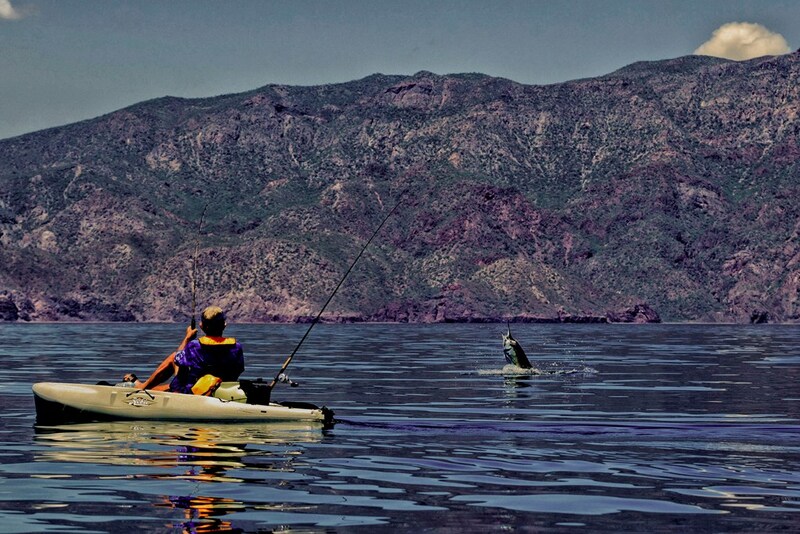 The evidence is there; yak fishing in Danzante Bay in the Sea of Cortez may provide some of the best, easiest access offshore kayak fishing in the world. Villa del Palmar at the Islands of Loreto has to be one of the most affordable, welcoming luxury resorts along the peninsula. And I got to see it from a second floor porcelain throne. But, here’s the deal: I’m going back. How could I not? Imagine getting that close and then getting benched. So, for next year’s tournament, I’m connecting with Renee early and I’m going to make this happen. Don’t believe me? Check back here next September for the pics—my pics. Sid Dobrin in the co-owner of Inventive Fishing. He is the author of more than a dozen books. 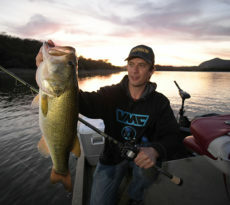 His fishing articles appear in fishing magazines nationally. Sid is also the chair of the English department at the University of Florida.